solution since 2000, so we understand your needs. We offer a door to door service from UK to Nigeria. to Nigeria and other African countries(Port-to-Port). You can either arrange a pick up from our office or have it delivered to your door. respected, reliable freight service to Africa. for both Air and Sea freight. Safety and security of your Goods. Adebis Ventures UK Limited is a Freight Forwarding, Import and General Cargo Service Provider. Adebis Ventures UK Limited is registered in England- Registration number 508155. Adebis Ventures UK Limited operates a door-to-door delivery service without any delay. We offer professional services from anywhere in the UK to Nigeria. Our range of Services includes Logistic Freight Services as well as Car Freight Services. Our experience for over a decade helped us to establish this reputation as a reliable and efficient Logistic Company, rendering quality Freight Forwarding Services in UK. 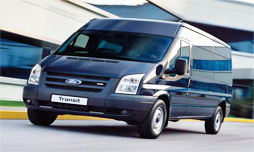 We provide a range of services from household removals, to commercial goods to car shipping. Our service is offered at a competitive rate that includes good packaging and storage. Our commitment to quality is evident once the consignment is collected from your address, and efficiently delivered to the specified destination.